A young Mongolian girl stands outside her Ger March 12, 2010 in Ulaan Baatar, Mongolia. 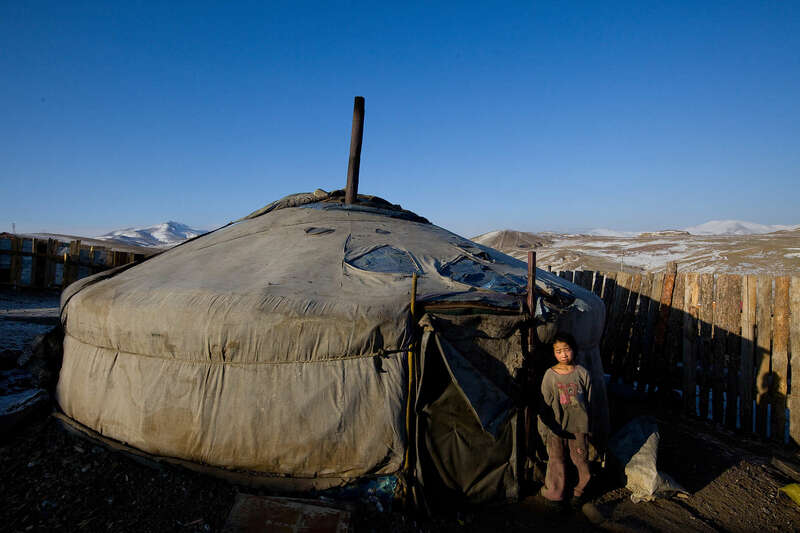 Many Mongolians have immigrated to the capitol city from the far away provinces seeking employment, living in rented traditional circular felt yurts with no running water or electricity. In the winter this means extreme hardship, with temperatures dropping below -25C mid- Winter.